How to make lottery tickets by FastReport.Net - Fast Reports Inc. Suppose you decided to hold a lottery in the office and you have only FastReport.Net at hand. 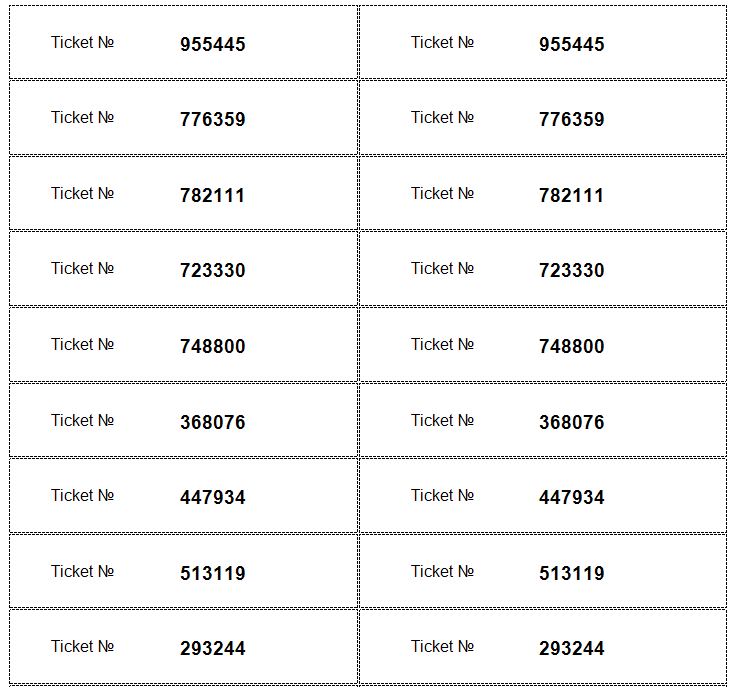 It is necessary to create two sets of tickets with unique numbers. The first set for users, the second for the lottery. 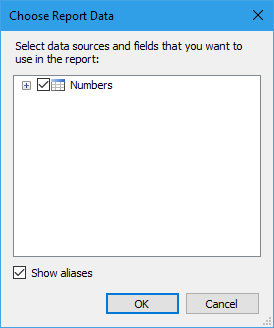 We will generate unique numbers for the lottery in the report script and use them as data sources. Let's get started. Run the report designer. Now we do not have data for the report yet. Go to the Code tab (Code). We specify the number of tickets n in the party. And also, the range in which to generate a number. I want six-digit numbers, so I specified a range from 100000 to 999999. 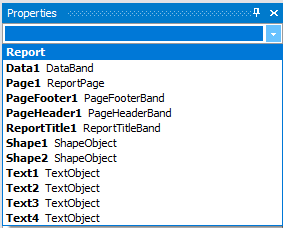 In the event handler, we generate a list of numbers and register it in the report as a data source. And see the list of tickets. It remains to print them and cut them.